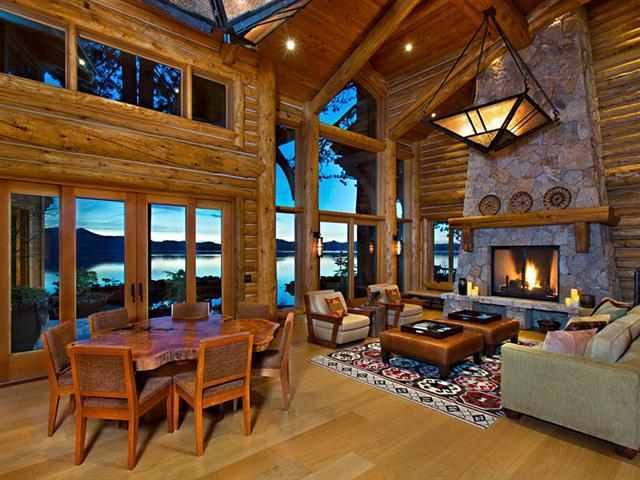 Olja Mihic, Lake Tahoe Realtor, Weekly Lake Tahoe Real Estate Market Report. Data Drawn from Lake Tahoe MLS. Active Listings: Lake Tahoe MLS reports the current inventory of residential Lake Tahoe real estate and Truckee real estate went up 3% from the previous report to 557 residential Lake Tahoe properties for sale; 369 single family homes and 188 condominiums for sale. Coldwell Banker has roughly 13% of the active listings in the market and continues to be the market leader for listings. Lake Tahoe Foreclosures REO-Short Sale Active Listings: Of the active Lake Tahoe real estate and Truckee real estate listings, there are only 8 Lake Tahoe properties listed as short sales, (1.4%) and 9 properties listed as Lake Tahoe foreclosures REO sales, (1.6%). Months of Inventory: Based on the current active Lake Tahoe real estate and Truckee real estate inventory and sales for the previous 30-day period, the market has a over 4-months of inventory available, as indicated in the Lake Tahoe MLS. Total Sales: For 2013, there have been 312 residential Lake Tahoe properties sold in the market which is slightly higher than the 295 Lake Tahoe properties sold in 2012 for the same period. Of the total Lake Tahoe real estate and Truckee real estate sales in the market this year, 241 have been single family Lake Tahoe homes, while 71 or 23% of the sales are condominiums. In 2012 for the same period, condominiums represented a little over 19% of the sales. Lake Tahoe Foreclosures REO & Short Sales: Distressed property sales are down significantly for the year with 26 Lake Tahoe foreclosures REO sales, (8%), and 45 Short Sales, (15%) which results in 23% of the Lake Tahoe real estate and Truckee real estate sold being distressed properties. In 2012 for the same period, there were 67 Lake Tahoe foreclosures REO sales and 61 short sales or 43% of the total Lake Tahoe real estate and Truckee real estate sales being distressed Lake Tahoe properties. Sales by Price Range: Lake Tahoe MLS reports in 2013, there have been 186 residential Lake Tahoe properties sold priced below $500,000, 81 Lake Tahoe properties sold between $500,000 and $1,000,000 and 45 Lake Tahoe properties sold over $1,000,000. Median and Average Sales Prices: The median sales price for Lake Tahoe real estate and Truckee real estate sold year to date is $423,750 while the average sales price is $685,625. For the same period in 2012, the median Lake Tahoe real estate and Truckee real estate sales price was $364,565 and the average sales price was $528,497 which is an increase of 16% in median sales price and an increase of 29% in average sales price. 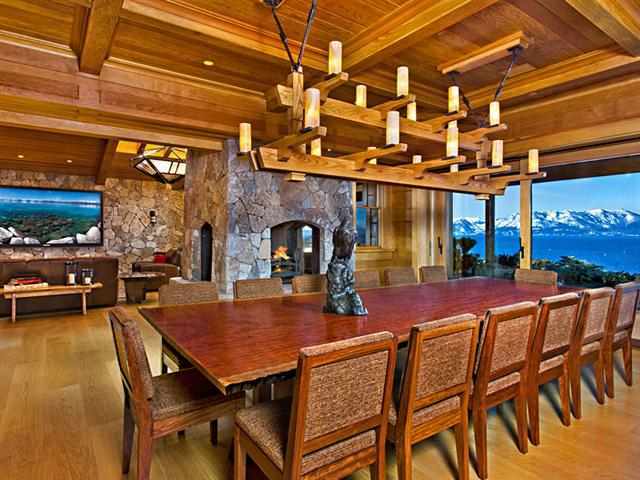 Last Week’s Lake Tahoe Real Estate and Truckee Eeal Estate Sales: For the week of April 1st a total of 18 Lake Tahoe properties sold which was almost half of the prior week’s sales of 35 Lake Tahoe properties. Of the Lake Tahoe real estate and Truckee real estate sold last week, 3 Lake Tahoe properties sold at a price above $1,000,000. Pending Sales: Currently there are 204 pending residential Lake Tahoe real estate and Truckee real estate sales in the market which is down slightly from the previous week’s pending sales of 206. Of the pending Lake Tahoe real estate and Truckee real estate, 28% are distressed properties with 51 being short sales and 7 being Lake Tahoe foreclosure REO’s. Lake Tahoe real estate activity for 2013 is slightly ahead of 2012 in terms of total Lake Tahoe real estate and Truckee real estate sales as there have been 312 residential Lake Tahoe properties sold year to date which is up 6% from the 295 sales for the same period last year. We are continuing to see sizeable buyer interest for this market with multiple offer situations occurring more frequently than what we experienced last year. Coldwell Banker Residential Brokerage as was the case in 2012 continues to be #1 in the entire market in terms of both unit sides sold, (131 sales) and sales volume sold, ($59 million) on a year to date basis. The median Lake Tahoe real estate and Truckee real estate sales price for residential Lake Tahoe properties reached 423,750 last week which is up 16% from the median sales price of $364,565 in 2012. Similarly the average sales price has gone up a whopping 29% to $685,625 as compared to last year’s average sales price of $528,497 due in large part to the higher number of Lake Tahoe luxury homes sales in the market since the beginning of the new year. The segment of the market with the highest level of activity continues to be Lake Tahoe homes priced under $500,000 as 59% of the Lake Tahoe real estate and Truckee real estate sales or 186 Lake Tahoe properties have sold in this price range which is similar to 2012 where over 66% of sales or 195 properties sold in this price range. 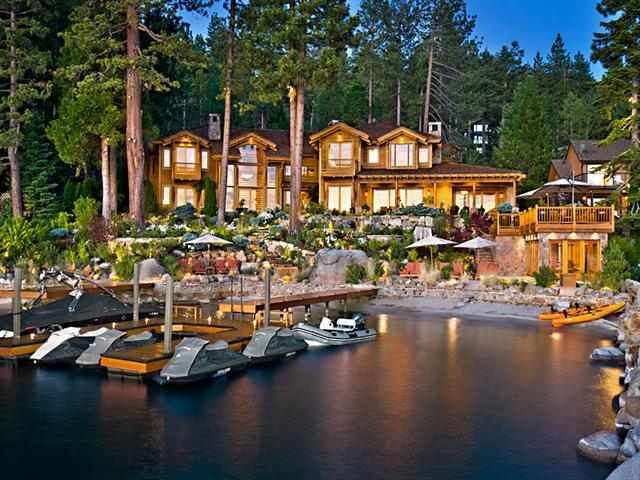 Lake Tahoe luxury home sales, homes priced above $1,000,000, have almost doubled from 2012 with 45 Lake Tahoe luxury homes selling since the beginning of the year as compared to only 23 Lake Tahoe luxury homes sold for the same period in 2012. 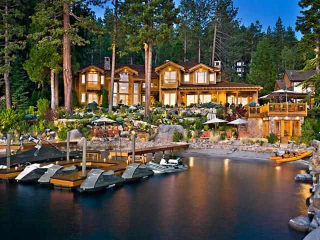 Lake Tahoe luxury homes sold represents over 14% of sales thus far this year. The median Lake Tahoe real estate and Truckee real estate sales price for Lake Tahoe luxury homes in 2013 is $1,637,500 as compared to a median price of $1,370,000 in 2012 which is up 19%. Similarly, the average sales price of Lake Tahoe luxury homes in 2013 is $2,234,199 as compared to $2,113,260 in 2012 which is a 6% increase. The mid-range market sales, $500,000 to $1,000,000 are up slightly from last year with 81 Lake Tahoe properties sold in this segment or 26% of sales as compared to 77 Lake Tahoe properties sold or 26% of sale in this range in 2012. Distressed properties, (Lake Tahoe foreclosures REO’s and Short Sales), have really lagged 2012 thus far. For 2013, short sale properties closed have gone down 26% with 45 closed short sales in 2013 as compared to 61 closed short sales in 2012. Similarly, Lake Tahoe foreclosures REO properties closed in 2013 have gone down (61%) with 26 Lake Tahoe properties closed in 2013 as compared to 67 Lake Tahoe properties closed in 2012. Overall, distressed property sales, (Lake Tahoe foreclosures REO and Short Sales) represent 23% of the Lake Tahoe real estate and Truckee real estate sales in 2013 which is less than the 43% in 2012. The active Lake Tahoe real estate and Truckee real estate inventory on a year over year basis is down roughly 30% as we currently have 557 residential Lake Tahoe properties listed for sale as compared to 791 a year ago at this time. However, this past week we had a slight increase in Lake Tahoe real estate and Truckee real estate inventory once again with a total of 557 residential Lake Tahoe properties on the market; 369 single family lake Tahoe homes and 188 condominiums listed for sale. As is the case in many California markets, low inventory levels are the norm and the Lake Tahoe real estate -Truckee real estate market is experiencing similar trends. IT’S NOT TOO LATE! While Lake Tahoe real estate and Truckee real estate inventory levels are lower than normal, there are still many quality Lake Tahoe properties to choose from throughout the north Lake Tahoe and Truckee area. When you compound the inventory available with Lake Tahoe homes still priced at 10-year lows and some of the lowest interest rates in history, savvy Lake Tahoe real estate investors are taking advantage of this market and acquiring homes in many of the Lake Tahoe and Truckee resort communities. 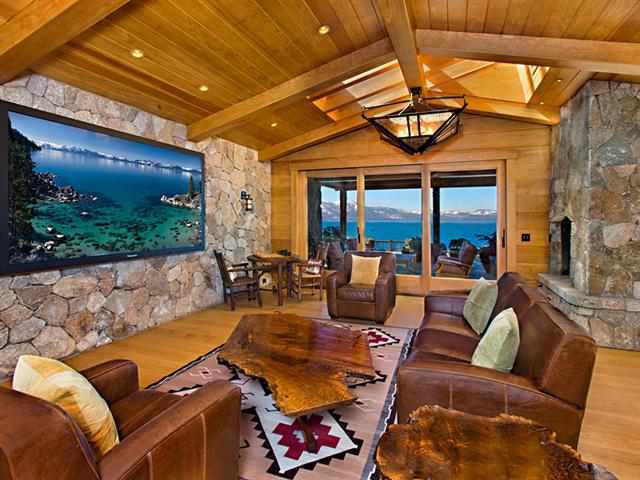 Larry Ellison Estate: With a private crystal clear harbor and white sandy beach, this sunny NV lakefront estate is simply a one of a kind Lake Tahoe real estate experience. 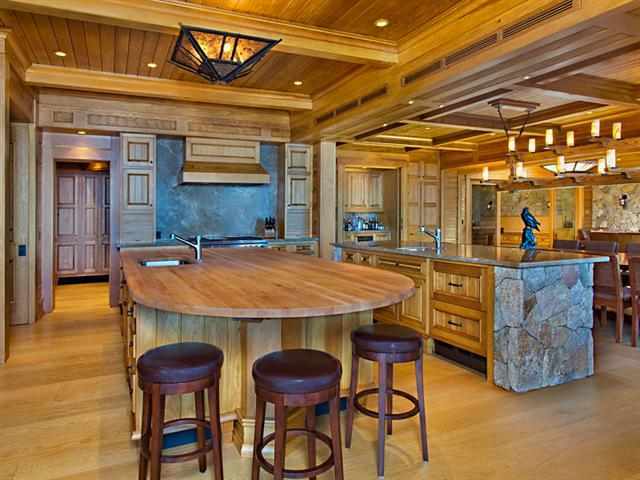 Completely rebuilt from the studs up in 2010, the impeccably designed and custom crafted lodge-style main residence offers commanding expansive panoramas of Lake Tahoe, Mt. Tallac, and the spectacular Sierra sunsets. Set on 2.62 acres with 230′ of Lake Tahoe frontage, two additional guest homes, and three separate parcels, this premiere Lake Tahoe real estate leaves no detail overlooked. Being a Lake Tahoe real estate agent is a contact sport! 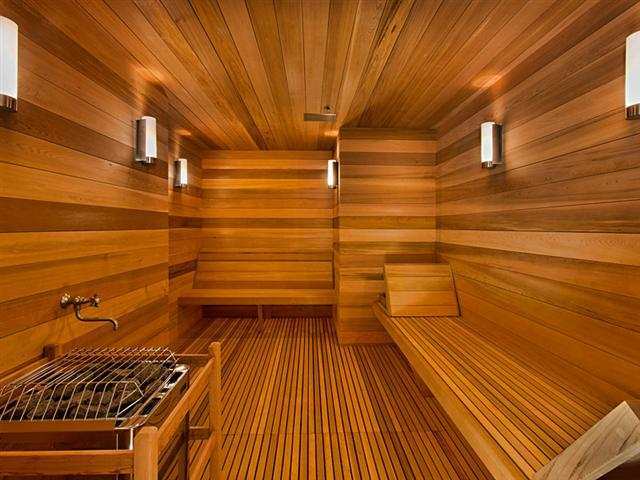 Selling Lake Tahoe real estate means I get in contact with a lot of people which leaves me exposed to germs. My average Lake Tahoe real estate selling day consists of checking Lake Tahoe MLS on a computer, driving around with people in a car, shaking home owner’s hands, sharing a telephone at the office, and it does mean that flu germs lurk around every corner. Since we are getting into the busy Lake Tahoe real estate selling season, I thought I’d post this home remedy that was tried and tested on yours truly. Lake Tahoe real estate agent or not, this truly worked! First, I have a disclosure: I had been on an alkaline sugar-free diet for nearly a year prior to contracting a flu, which may have been a partial contributor to the rapid microorganism defeat, but, none the less, I did contract the flu even with the magic diet. After a busy day of Lake Tahoe real estate selling, I had felt a little down before I went to sleep, and sure enough I woke up with a vigorously sore throat and a general ill feeling. This is where your persistent, “won’t take no for an answer”, Lake Tahoe real estate agent went to work! On an empty stomach I drank an ounce of Oxylife liquid oxygen, which is food grade hydrogen peroxide known to kill microorganisms in the intestines, three times a day. This may cause intestinal discomfort (especially if you mess up and take it with food). I am willing to bet that half a teaspoon of baking soda in half a cup of water would do the trick also. Just remember: empty stomach! Half an hour after drink 3 pills of high dollar probiotic, or kefir or yogurt, or all of the above! First you kill, then introduce the good stuff! I took 1000 mg of vitamin C in the morning and 1000 mg at night along with Echinacea and Zink supplements, and B-complex once a day. And for 4 days in a row I took one vitamin D pill (which is 4 times the weekly dose!). Alternating with the juice of lemon, I took a raw garlic clove (at least 3 times a day, but as often as you can handle, as I believe that this was the magic ingredient!). Don’t take with lemon juice, as you are likely to upset your stomach. 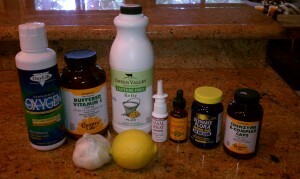 A must is a NutriBiotic grapefruit seed extract nasal spray 3 times a day. It has baking soda and grapefruit seed extract to eliminate any critters trying to get in through the nasal passage. And lastly, and I feel this to be an important step also, is coconut oil swishing. Twice a day take a spoon of coconut oil and swish it in your mouth for 20 min, then spit it out (don’t swallow, as you will be swallowing all the germs)! This stuff is great for any mouth funk! It attracts microorganisms, even from the throat! And voila! You will be cured! The whole day I was doing this I felt the virus fighting, but because nearly every hour I would take something to battle the virus, it finally gave up by the next day. I continued the regiment the next day also. So, the key is to battle it persistently whilst supporting the immune system, and not just morning and night! Your colleagues will understand why your entire body reeks of garlic! Lake Tahoe real estate doesn’t wait, especially now that the inventory is low, and the buying frenzy high, so with this technique I was able to keep going, and never get sick! 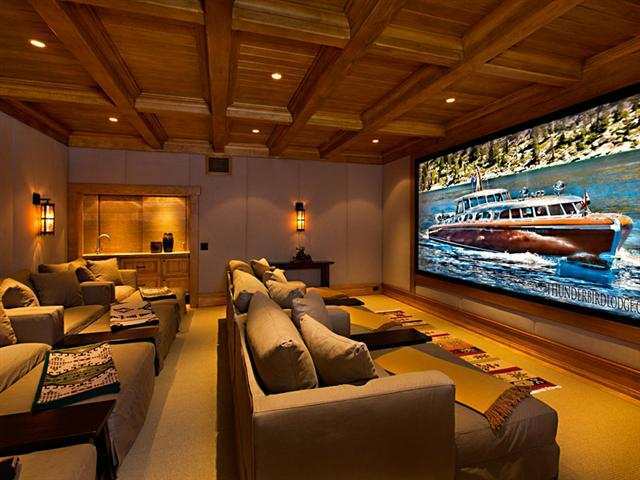 Once you recover make sure you take a peek at my Lake Tahoe real estate search page as it streams Lake Tahoe MLS listings in current time, so as the Lake Tahoe MLS updates so will my Lake Tahoe real estate page, and hence you will be the first to know! You can also sign up for Lake Tahoe real estate listing watch, so you will be emailed every time a new listing hits the Lake Tahoe MLS. Happy recovery! Hope it works for you like it did for me! By Olja Mihic, Lake Tahoe Realtor, Lake Tahoe Real Estate and Truckee Real Estate Market Report for March 25th – 31st. Data reported is from Lake Tahoe MLS. Active Listings: Per Lake Tahoe MLS the current inventory of residential Lake Tahoe real estate and Truckee real estate went up slightly from the previous report to 542 residential Lake Tahoe properties for sale; 354 single family Lake Tahoe homes and 188 condominiums for sale. Coldwell Banker has roughly 13% of the active listings in the market and continues to be the market leader for listings. Lake Tahoe Foreclosures (REO)-Short Sale Active Listings: Lake Tahoe MLS reports that of the active listings, there are only 6 Lake Tahoe properties listed as short sales, (1.0%) and 9 Lake Tahoe properties listed as Lake Tahoe foreclosures (REO) sales, (2.0%). Months of Inventory: Based on the current active inventory and Lake Tahoe real estate and Truckee real estate sales for the previous 30-day period, the market has a little over 4-months of inventory available. Total Sales: For 2013, there have been 287 residential Lake Tahoe real estate and Truckee real estate sold in the market which is reasonably higher than the 264 Lake Tahoe properties sold in 2012 for the same period. Of the total Lake Tahoe real estate and Truckee real estate sales in the market this year, 219 have been single family Lake Tahoe homes, while 68 or 24% of the sales are condominiums. In 2012 for the same period, condominiums represented a little over 20% of the sales. Lake Tahoe Foreclosures (REO) & Short Sales: Distressed property sales are down significantly for the year with 24 Lake Tahoe foreclosures (REO) sales, (8%), and 42 Short Sales, (15%) which results in 23% of the Lake Tahoe properties sold being distressed properties. In 2012 for the same period, there were 64 Lake Tahoe foreclosures (REO) sales and 58 short sales or 46% of the total Lake Tahoe real estate and Truckee real estate sales being distressed properties. Sales by Price Range: In 2013, there have been 171 residential Lake Tahoe real estate and Truckee real estate sold priced below $500,000, 74 Lake Tahoe properties sold between $500,000 and $1,000,000 and 42 Lake Tahoe properties sold over $1,000,000. Median and Average Sales Prices: The median sales price for Lake Tahoe real estate and Truckee real estate sold year to date is $417,000 while the average sales price is $694,791. For the same period in 2012, the median Lake Tahoe real estate and Truckee real estate sales price was $359,000 and the average sales price was $518,560 which is an increase of 16% in median sales price and an increase of 34% in average Lake Tahoe real estate and Truckee real estate sales price. 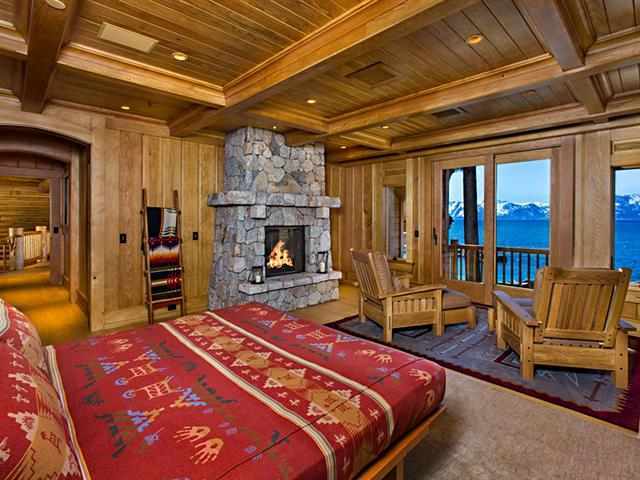 Last Week’s Sales: For the week of March 25th a total of 35 Lake Tahoe properties sold which was up nicely from the prior week’s sales of 28 Lake Tahoe properties. Last week Lake Tahoe real estate and Truckee real estate sales were the single largest week of sales thus far for 2013. Of the Lake Tahoe real estate and Truckee real estate sold last week, 8 Lake Tahoe properties sold at a price above $1,000,000. Pending Sales: Currently there are 206 pending residential Lake Tahoe real estate and Truckee real estate sales in the market which is down from the previous week’s pending sales of 210. Of the pending Lake Tahoe real estate and Truckee real estate, 30% are distressed Lake Tahoe properties with 54 being short sales and 7 being Lake Tahoe foreclosures (REO’s). Real estate activity for 2013 is slightly ahead of 2012 in terms of total sales as there have been 287 residential properties sold year to date which is up 9% from the 264 sales for the same period last year. The month of March yielded 135 properties sold as compared to 117 in 2012 for the same period which is a 15% increase. The median Lake Tahoe real estate and Truckee real estate sales price for residential Lake Tahoe properties reached 417,000 which is up 16% from the median Lake Tahoe real estate and Truckee real estate sales price of $359,000 in 2012. Similarly the average Lake Tahoe real estate and Truckee real estate sales price has gone up a whopping 34% to $694,791 as compared to last year’s average sales price of $518,560 due in large part to the higher number of Lake Tahoe luxury homes sales in the market since the beginning of the new year. The segment of the market with the highest level of activity continues to be Lake Tahoe homes priced under $500,000 as 59% of the sales or 171 Lake Tahoe properties have sold in this price range which is similar to 2012 where over 67% of sales or 176 Lake Tahoe properties sold in this price range. Lake Tahoe luxury homes sales, homes priced above $1,000,000, have doubled from 2012 with 42 Lake Tahoe luxury homes selling since the beginning of the year as compared to only 21 Lake Tahoe luxury homes sold for the same period in 2012. Lake Tahoe luxury homes sold represents over 14% of Lake Tahoe real estate and Truckee real estate sales thus far this year. The median sales price for Lake Tahoe luxury homes in 2013 is $1,667,500 as compared to a median price of $1,300,000 in 2012 which is up 28%. Similarly, the average sales price of Lake Tahoe Luxury homes in 2013 is $2,300,690 as compared to $2,083,571 in 2012 which is a 20% increase. The mid range market sales, $500,000 to $1,000,000 are up slightly from last year with 74 properties sold in this segment or 25% of sales as compared to 67 Lake Tahoe properties sold or 25% of sale in this range in 2012. Distressed properties, (Lake Tahoe foreclosures (REO’s) and Short Sales), have really lagged 2012 thus far. For 2013, short sale properties closed have gone down 27% with 42 closed short sales in 2013 as compared to 58 closed short sales in 2012. Similarly, Lake Tahoe foreclosures (REO) properties closed in 2013 have gone down (62%) with 24 properties closed in 2013 as compared to 64 properties closed in 2012. Overall, distressed property sales, (Lake Tahoe foreclosures (REO) and Short Sales) represent 23% of the Lake Tahoe real estate and Truckee real estate sales in 2013 which is less than the 46% in 2012. The active Lake Tahoe real estate and Truckee real estate inventory on a year over year basis is down roughly 35%. However, this past week we had a slight increase in inventory once again with a total of 542 residential lake Tahoe properties on the market; 354 single family homes and 188 condominiums listed for sale. As is the case in many California markets, low inventory levels are the norm and the Lake Tahoe real estate and Truckee real estate market is experiencing similar trends. IT’S NOT TOO LATE! While Lake Tahoe real estate and Truckee real estate inventory levels are lower than normal, there are still many quality Lake Tahoe properties to choose from throughout the north Lake Tahoe and Truckee area. When you compound the inventory available with Lake Tahoe homes still priced at 10-year lows and some of the lowest interest rates in history, savvy real estate investors are taking advantage of this market and acquiring homes in many of the Lake Tahoe and Truckee resort communities. Contact Olja Mihic, Your Lake Tahoe Realtor Today to Find Out More about the Opportunities Available in the Lake Tahoe Real Estate and Truckee Real Estate Market.